Bydd Llyfrgell ac Ystafell Ymchwil y Comisiwn Brenhinol yn cau ar Ddydd Gwener 23 Rhagfyr am 4pm ac yn ailagor ar Ddydd Mawrth 3 Ionawr am 9.30. Bydd y llyfrgell a’r ystafell ymchwil ar gau, a chaiff y gwasanaeth ymholiadau ei atal, o Ddydd Llun 16 Ionawr hyd Ddydd Gwener 20 Ionawr 2017. Ni chaiff ymholiadau ac archebion a ddaw i law yn ystod y cyfnod hwn mo’u cydnabod na’u trin hyd nes i ni ailagor ar Ddydd Llun 23 Ionawr 2017. Mae’n flin gennym am unrhyw anghyfleustra y gall hyn ei achosi. Set of black and white images showing houses in Glamorgan, copied from photographs originally held by Barry Training College. Aled Eames Memorial Lecture. North Wales Maritime Archaeology: Research into the Royal Charter and the Resurgam; compiled by Lowri Roberts. Black and white images of various Welsh views, produced by former Ministry of Works Architect, Leonard Monroe. Over 650 colour digital photographs, produced by Paul Davis, relating to a number of sites in Wales. Colour slides, depicting exterior views of BBC Broadcasting House, Llandaff. Views of various structures along the Montgomeryshire Canal. 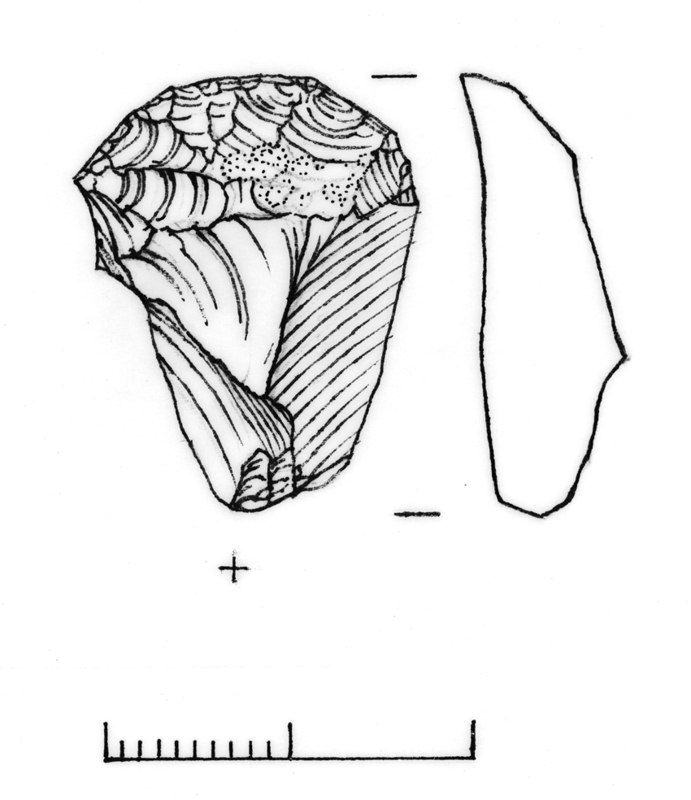 Photograph of a (black and white) detailed drawing of an excavated flint scraper, Find 19 Skomer Island Hut Group 8, produced by Andrew David for RCAHMW. Anthony, Sian. 2011. Medieval Settlement to 18th-/19th– Century Rookery: Excavations at Central Saint Giles, London Borough of Camden, 2006-8, London: Museum of London. Baker, David. 2015. Selborne Priory: excavations 1953-1971, Hampshire: Hampshire Field and Archaeological Society. Barnet, John & Williamson, Tom. 2005. Chatsworth : a landscape history, Bollington: Windgather. Bateman, Nick; Cowan, Carrie; Wroe-Brown, Robin. 2008. London’s Roman Amphitheatre: Guildhall Yard, City of London, London, City of London. Beckensall, Stan. 2009. Northumberland’s Hidden History, Stroud: Amberley Publishing Plc. Benjamin, Jonatan. 2001. Submerged prehistory, Oxford: Oxbow Books. Bergerbrant, Sophie [Ed.]. 2013. Counterpoint : essays in archaeology and heritage studies in honour of Professor Kristian Kristiansen, Oxford: Archaeopress. Birley, Robin. 2009. Vindolanda : a Roman frontier fort on Hadrian’s wall, Stroud: Amberley. Boucher, Andy; Craddock-Bennett, Luke; Daly, Tegan. 2015. Death in the Close: A Medieval Mystery, Edinburgh: Headland Archaeology Ltd.
Bowden, Mark; Brown, Graham; Smith, Nicky. 2009. An Archaeology of Town Commons in England: ‘A Very Fair Field Indeed’, Swindon: English Heritage. Bowsher, David; Dyson, Tony; Holder, Nick; Howell, Isca. 2007. The London Guildhall: An Archaeological History of a Neighbourhood from Early Medieval to Modern Times. Part 1, London: Museum of London Archaeology Service. Bowsher, David; Dyson, Tony; Holder, Nick; Howell, Isca. 2007. The London Guildhall: An Archaeological History of a Neighbourhood from Early Medieval to Modern Times. Part 2, London: Museum of London Archaeology Service. Bowsher, Julian; Miller, Pat. 2009. The Rose and the Globe- Playhouses of Shakespeare’s Bankside, Southwark. Excavations 1988-1991, London: Museum of London Archaeology. Breeze, David J. 2011. The frontiers of Imperial Rome, Barnsley: Pen & Sword Books Ltd.
Breeze, David J. 2014. The Impact of Rome on the British Countryside: A Conference Organized by the Royal Archaeological Institute, Chester, 11-13 October 2013, Chester, Royal Archaeological Institute. Brett, C.E.B. 1982. Buildings in the town and parish of St. Peter Port, [Guernsey], Guernsey Press. Burch, Katie. 2016. Church Buildings A strategic guide to design, renovation and construction, Houston, U.S.A.: Lucid Books. Carver, Martin; Hills, Catherine; Scheschkewitz, Jonathan. 2009. Wasperton: A Roman, British and Anglo-Saxon Community in Central England, Woodbridge, The Boydell Press. Christie, Neil & Harold, Hajnalka [Eds.]. 2016. Fortified settlements in early medieval Europe : defended communities of the 8th-10th centuries, Oxford: Oxbow Books. Clarke, Helen [et al.]. 2010. Sandwich: the ‘completest medieval town in England’: a study of the town and port from its origins to 1600, Oxford: Oxbow books. Coppack, Glyn & Aston, Mick. 2002. Christ’s poor men: the Carthusians in Britain, Stroud: Tempus. Cunliffe, Barry W. 1998. Fishbourne Roman Palace, Stroud: Tempus. Dartmoor, National Park. 2003. A guide to the archaeology of Dartmoor, Bovey Tracey: Dartmoor National Park. Demidowicz, George. 2015. St Michael’s Coventry: the rise and fall of the old cathedral, Coventry: Coventry Cathedral in association with Scala Arts & Heritage Publishers Ltd.
Emery, Phillip & Wooldridge, Kevin. 2011. St Pancras Burial Ground: Excavations for St Pancras International, the London Terminus of High Speed 1, 2002-3, London: Museum of London Archaeology. Evans, Christopher. 2013. Process and history: prehistoric communities at Colne Fen, Earith: Bronze Age fieldsystems, ring-ditch cemeteries and Iron Age settlement, Cambridge: Cambridge Archaeological Unit. Evans, Christopher. 2016. Lives in land: Mucking excavations by Margaret and Tom Jones, 1965-1978: prehistory, context and summary, Oxford: Oxbow Books. Fitzpatrick, A. P. 2011. The Amesbury Archer and the Boscombe Bowmen: Bell Beaker Burials on Boscombe Down, Amesbury, Wiltshire, Salisbury: Wessex Archaeology Ltd.
Fowler, Peter & Blackwell, Ian. 2000. An English Countryside Explored: The Land of Lettice Sweetapple. Brimscombe Port, Stroud: Tempus Publishing Ltd.
Freeman, P.W.M. 2007. The Best Training-Ground for Archaeologists: Francis Haverfield and the Invention of Romano-British Archaeology, Oxford: Oxbow Books. Gaffney, V.; Fitch, S.; Smith, D. 2009. Europe’s Lost World: The Rediscovery of Doggerland, York: The Council for British Archaeology. Gag, Robert. 2015. All manner of workmanship: papers from a symposium on faith craft, Downton, Salisbury: Spire Books. Gilchrist, Roberta. 2012. Medieval life: archaeology and the life course, Woodbridge: Boydell. Ginn, Victoria. 2014. Exploring prehistoric identity in Europe: our construct or theirs?, Oxford: Oxbow Books. Gosden, Chris; Crawford, Sally; Ulmschneider, Katharina. 2014. Celtic Art in Europe: Making Connections, Eynsham: Berforts Information Press Ltd.
Gover, Meryl. 2015. Cadfan’s Church: a history with digressions, Kibworth Beauchamp: Matador. Graham-Campbell, James. 2011. The Cuerdale hoard and related Viking-age silver and gold from Britain and Ireland in the British Museum, London: British Museum. Grainger, Ian; Hawkins, Duncan; Cowal, Lynne; Mikulski, Richard. 2008. The Black Death Cemetery, East Smithfield, London, London: Museum of London Archaeology Service. Grainger, Ian; Phillpotts, Christopher. 2010. The Royal Navy Victualling Yard, East Smithfield, London, London: Museum of London Archaeology. Hodge, John. 2016. Railways and Industry in the Western Valley: Neport to Aberbeeg, Barnsley: Pen & Sword Books Ltd.
Jamieson, Elaine. 2015. The historic landscape of the Mendip Hills, Swindon: Historic England. Jessup, Ronald. 1974. Anglo-Saxon Jewellery, Aylesbury: Shire Publications Ltd.
Johnson, Matthew. 1999. Archaeological Theory: An Introduction, Oxford: Blackwell. Jones, Carleton. 2007. Temples of stone: exploring the megalithic tombs of Ireland, Cork: Collins Press. Keay, Anna & Stanford, Caroline. 2015. Landmark: a history of Britain in 50 buildings, London: Frances Lincoln Limited. Keppie ,L.J.F. 2012. The antiquarian rediscovery of the Antonine Wall, Edinburgh: Society of Antiquaries of Scotland. Lambourne, Alan. 2010. Patterning within the Historic Landscape and its Possible Causes: A Study of the Incidence and Origins Regional Variation in Southern England, Oxford: Archaeopress. Leach, S. and Whitworth, A. 2011. Saving the wall: the conservation of Hadrian’s wall 1746-1987, Stroud: Amberley. Leary, Jim. 2010. The story of Silbury Hill, Swindon: English Heritage. Leary, Jim [ed.]. 2013, Silbury Hill: the largest prehistoric mound in Europe, Swindon: English Heritage. Levick, Paul. 2015. Later Prehistoric and Roman landscapes on the Berkshire Downs, Oxford: Archaeopress. Lewis, John. 2010. Landscape evolution in the Middle Thames Valley: Heathrow Terminal 5 excavations. Volume 2, Oxford: Framework Archaeology. Longworth, Ian; Varndell, Gillian; Lech, Jacek. 2012. Excavations at Grimes Graves, Norfolk, 1972-1976. Fascicule 6: Exploration and Excavation beyond the Deep Mines, London: British Museum Press. Lynch, Ann. 2014. Poulnabrone: An Early Neolithic Portal Tomb in Ireland, Dublin: The Stationary Office. Manco, Jean. 2013. Ancestral journeys: the peopling of Europe from the first venturers to the Vikings, London: Thames and Hudson. Miket, Roger & Semple, Sarah. 2009. Yeavering: Rediscovering the Landscape of the Northumbrian Kings. Archaeology in Northumberland: Discovery Series 2, Northumberland: Northumberland County Council. Mills, Nigel [ed.]. 2013. Presenting the Romans: interpreting the frontiers of the Roman Empire World Heritage Site, Woodbridge: The Boydell Press. Minnis, John. 2016. The railway goods shed and warehouse in England, Swindon: Historic England. Momber, G. [et al.]. 2011. Mesolithic occupation at Bouldnor Cliff and the submerged prehistoric landscapes of the Solent, York: Council for British Archaeology. Murphy, Peter; 2009. The English Coast: A History and a Prospect, London: Continuum UK. Murray, Tim. 2014. From Antiquarian to Archaeologist: The History and Philosophy of Archaeology, Barnsley: Pen and Sword. Parker, Mike. 2016. Mapping the roads: building modern Britain, Basingstoke: AA. Parker Pearson, M. [et al.]. 2015. Stonehenge: making sense of a prehistoric mystery, York: Council for British Archaeology. Parsons, David. 2013. The Anglo-Saxon church of All Saints, Brixworth, Northamptonshire: survey, excavation and analysis, 1972-2010, Oxford: Oxbow Books. Ravensdale, Jack & Muir, Richard. 1988. East Anglian Landscapes: Past and Present, London, Penguin Group. Reed, Clive. 2016. Tareni Colliery: The mine, the miners and their communities: A history of a mining enterprise in the Swansea Valley, Talybont: Y Lolfa. Richards, Pip. 2014. The restoration of Carwynnen Quoit: a monument like no other, Redruth: Sustainable Trust. Rippon, Stephen. 2012. Making sense of an historic landscape, Oxford: Oxford University Press. Rush, Laurie (ed.). 2012. Archaeology, Cultural property, and the Military, Woodbridge: The Boydell Press. Russell, Ian & Hurley, Maurice (eds.). 2014. Woodstown: a Viking-age settlement in Co. Waterford, Dublin: Four Courts Press. Russell Miles. 2010. UnRoman Britain: exposing the great myth of Britannia, Stroud: History Press. Schofield, John. 2009. Defining Moments: Dramatic Archaeologies of the Twentieth-Century. Studies in Contemporary and Historical Archaeology 5, Oxford: Archaeopress. Scofield, John. 2011. St Paul’s Cathedral before Wren, Swindon: English Heritage. SHARP Team, The. 2014. Digging Sedgefield: A People’s Archaeology, Cromer: Poppyland Publishing. Skendleby Heritage Society. 2008. The mystery of the Chapel of St. James: Skendleby, Horncastle: Skendleby Heritage Society. Smith, Michael E. (Ed.). 2012. The Comparative Archaeology of Complex Societies, New York: Cambridge University Press. Smyth, Jessica. 2014. Settlement in the Irish Neolithic: new discoveries at the edge of Europe, Oxford: Oxbow Books. Taylor, R.E. 2014. Radiocarbon dating: an archaeological perspective, Walnut Creek, Calif.: Left Coast Press. Thomas, Suzie & Lea, Joanne. 2014. Public Participation in Archaeology, Woodbridge: The Boydell Press. Trigger, Bruce G. 1989. A history of archaeological thought, Cambridge: Cambridge University Press. Watts, Martin. 2013. Prehistoric, Romano-British and Medieval occupation in the Frome Valley, Gloucestershire, Cirencester: Cotswold Archaeology. Welfare, Adam. 2011. Great crowns of stone: the recumbent stone circles of Scotland, Edinburgh: Royal Commission on the Ancient and Historical Monuments of Scotland. Wickham-Jones, C.R. 2010. Fear of farming, Bollington: Windgather. Wildig, J. and ADAS. 2001. 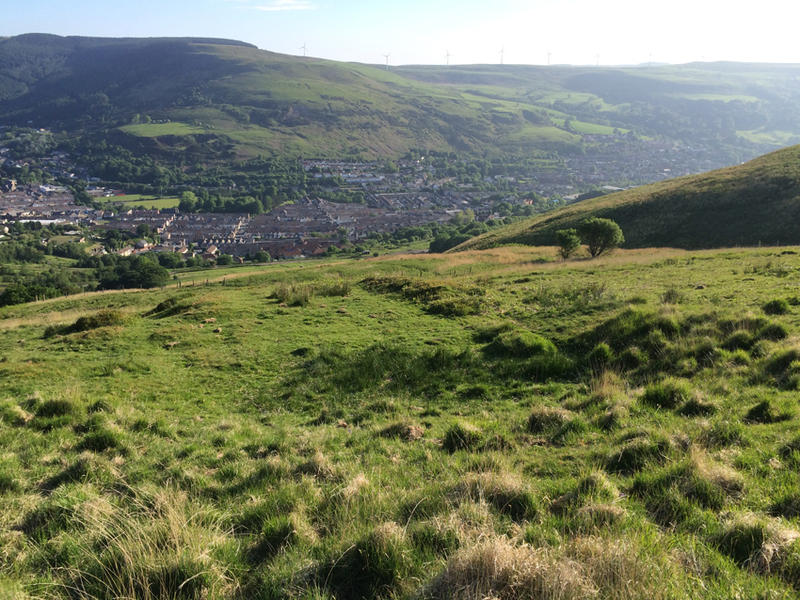 Mynydd y Ffynnon Ffynhonnell gweledigaeth newydd ar gyfer ucheldir Cymru / the source of a new vision for the Welsh uplands: Adroddiad terfynol / Final report, ADAS. Williams, Mike. 2013. Textile mills of South West England, Swindon: English Heritage. Williams, Philip Nanney. 2016. Nannau: A rich tapestry of Welsh history, Welshpool: Llwyn Estates. Willies, L.M. 2011. ‘Finished labour of a thousand hands’: the archaeology of the Combe Down Stone Mines, Bath, Somerset, Oxford: Oxford Archaeology.